SonLight Power transforms lives sustainably with love and solar power. SonLight Power adheres to standard business hours. We also conduct after-hours solar training. SonLight Power transforms lives with love and solar power. Our sustainable solar-powered solutions improve access to educational opportunities and wellness while empowering those we serve with hope. 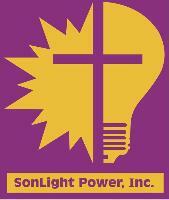 SonLight Power is a 501(c)(3) non-profit. Invest in our impact - donations are tax deductable. SonLight Power Applies P&G Grant to Transform 30,000+ Lives in Mexico. SonLight Power is located at 7100 Dixie Highway, Fairfield, Ohio 45014. Our office is located on the second floor of the Honeymoon Paper Products facility at the same address.